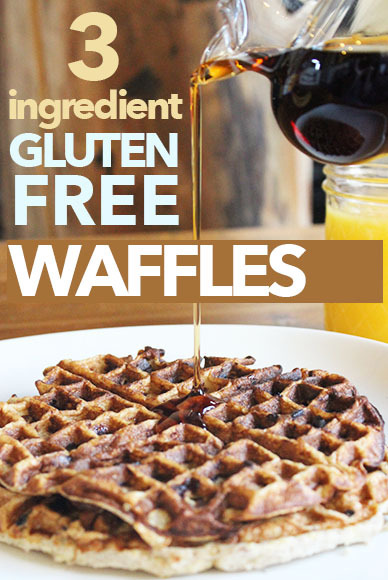 Are you ready for a super simple AND gluten free way to enjoy waffles in the morning? 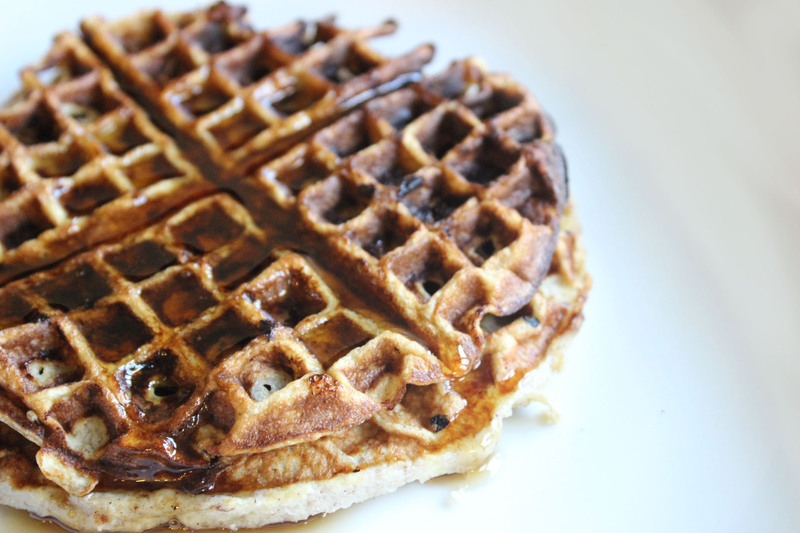 I had seen this recipe on Pinterest, however it was for pancakes, I decided to whip out the old waffle iron and give this recipe a try. 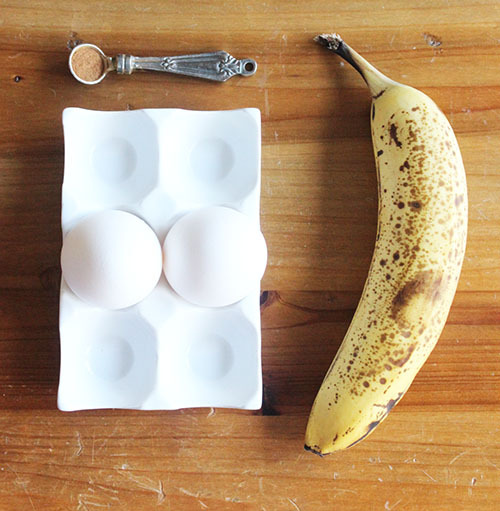 All you need is a banana, 2 eggs & 1/8 teaspoon of cinnamon. 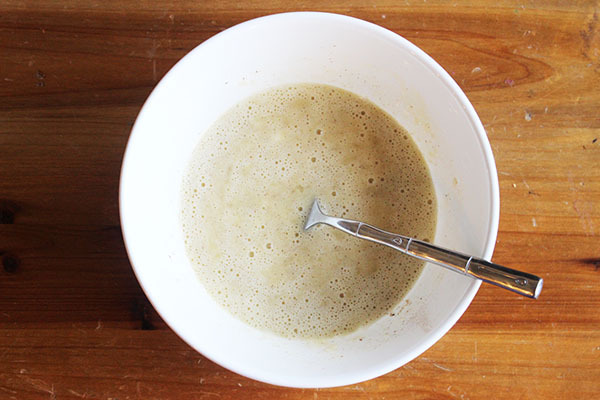 Mix all of the ingredients in a bowl and then pop into a hot waffle iron. 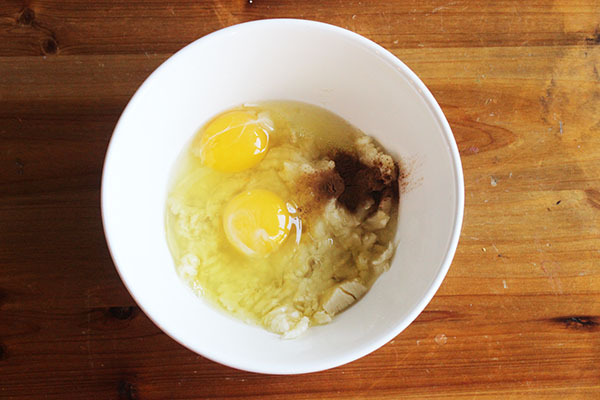 Give it a few minutes of cooking time and voila you have a Gluten-Free breakfast! 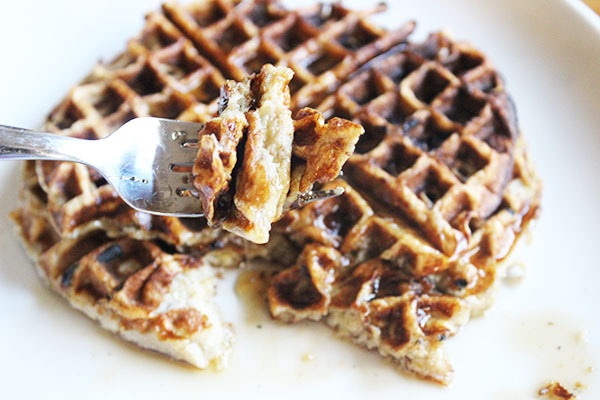 I will be the first to admit, this ‘waffle’ does not have the same consistency as a regular waffle, it is somewhere in between a pancake and a waffle if that makes sense. It also, *obviously* doesn’t taste like a regular waffle, however, when topped with butter & syrup it’s a pretty close match! It is difficult to read recipes as the overload of pop up ads. Will not visit this site any longer, just to aggravating. How long should they stay in? I had mine for about 5 minutes and it didn’t cook at all.